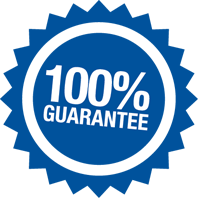 The Centrix New Product Guarantee states that at any time if you are not satisfied with any product purchased from Centrix, full credit will be issued upon return of the product(s) within 30 days. We at Centrix strive to provide only the highest level of customer service and satisfaction... Guaranteed! Details of the Centrix Risk Free guarantee are outlined below. You must be totally satisfied with any product you purchase from Centrix, Inc. If for any reason you are dissatisfied, please contact us toll-free at 1-800-235-5862 (USA & Canada) to obtain a Return Merchandise Authorization (RMA) number and instructions on shipping. Do not ship merchandise back to Centrix without an RMA. If you have purchased your Centrix products through a dental dealer, you should contact that dealer for return instructions. Full credit will be issued on returns within 30 days. A 15% restocking fee is charged on goods returned within 30 to 60 days. There are no returns on goods after 60 days unless there is a product defect. Centrix only ships factory-fresh materials, therefore products with less than half the remaining shelf-life will not be accepted for a full credit. "I use this product every single day in my practice, and honestly I wouldn't want to practice without it!"